I decided to write a play for Yr7-8 Drama club over Christmas when I couldn't think of a suitable age specific play that I haven't directed before! I've always loved the story. My Mum and Dad read it to me from a Ladybird book when I was a boy. 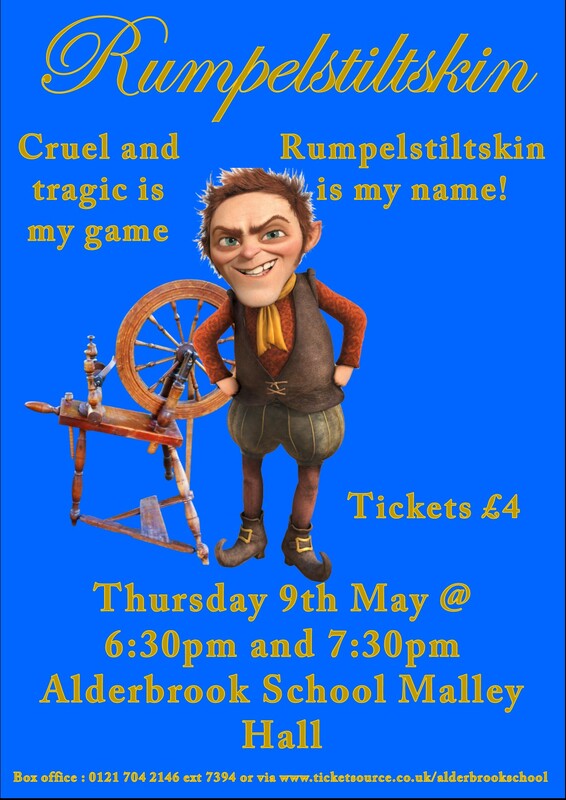 In particular I loved the character of Rumpelstiltkin- that combination of cunning, mischief and intrigue. I mean- who is he and where did he come from? Whilst sticking broadly to the fairy tale, I've re-imagined the central character as 'a changeling' or chameleon. So, we have multi-rolled him, as if he is different people inside one body! I've also strengthened the role of Rose who ultimately out-smarts Rumpelslitskin to made her a stronger and more independent character as the play progresses. I hope you enjoy the show! *Tickets purchased - will valid for both shows 6:30pm and 7:30pm. *Please note that we can't accept credit card payment on the door.